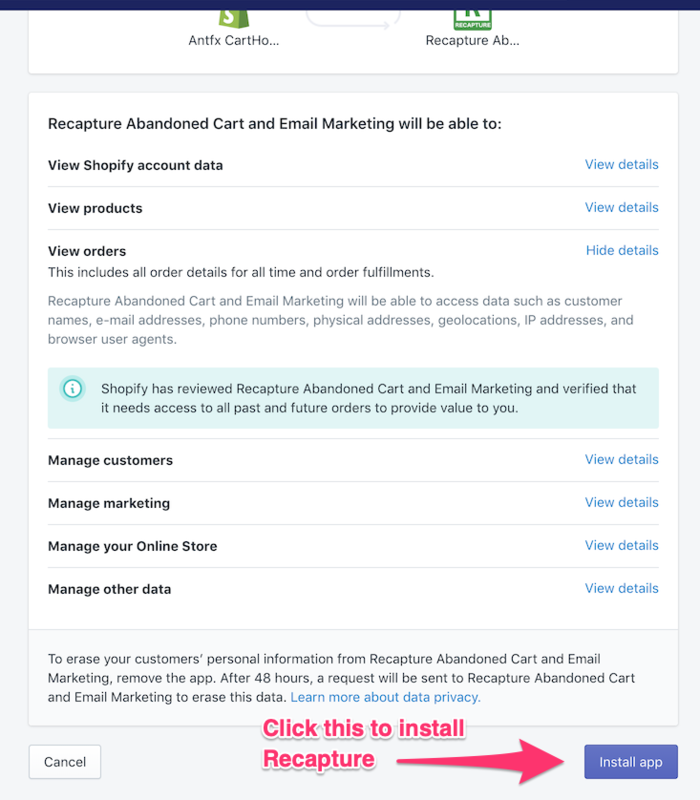 Recapture and CartHook have completed an integration as of March, 2019 and we're pleased to provide abandoned cart recovery to CartHook Checkout, the #1 platform on Shopify for Cross-sell/Up-sell checkout replacement. CartHook now recommend Recapture as a replacement for CartHook Recovery, their old abandoned cart solution. Installing Recapture for CartHook is quite simple. Follow these steps and in less than 2 minutes, you'll have Recapture integrated and running. Step 1: Login to your CartHook account if you haven't already. 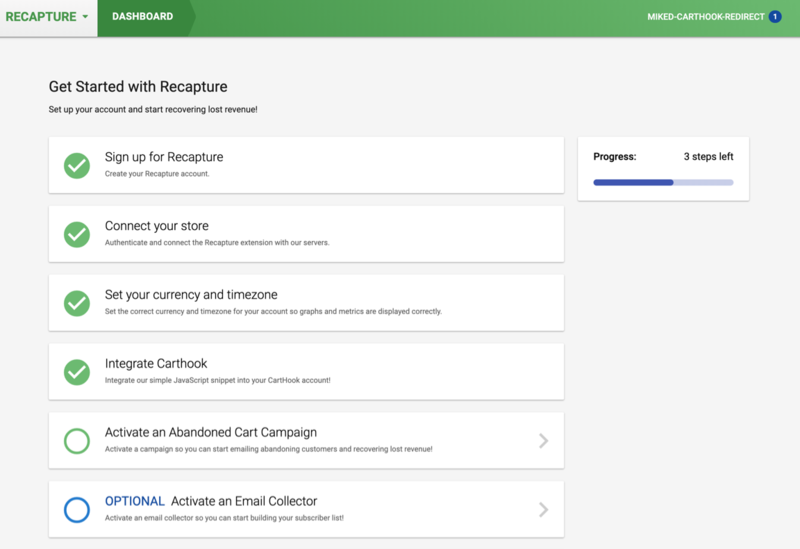 Step 3: Click on "Tracking & Integrations" and then "Cart Abandonment". Then you'll see a button to Enable Integration. Click that. Step 6: Recapture and CartHook will have a short back-and-forth about your account...just sit tight while this screen is up. What else I do I need to do after the CartHook integration is active? You must activate the campaigns, no emails will be sent automatically until you do!